The team BEE (Biogeographical Ecology and Evolution) studies patterns and processes mediating population biology from ecological to evolutionary scales. The team BEE (Biogeographical Ecology and Evolution) studies patterns and processes mediating population biology from ecological to evolutionary scales. Topics include phylogeography, population dispersal/connectivity, abiotic stress-driven evolution, reproductive ecology and roles of mating systems in population divergence and speciation. Biological models include algae, marine plants, invertebrates and vertebrates, using a variety of approaches, from population genetics and phylogeny to experimental ecology and environmental genomics. The team is composed of subgroups: MAREE (Ester Serrao and Gareth Pearson), BioCon (Rita Castilho), and the team of Katy Nicastro. Ler mais acerca de Climate-driven range shifts explain the distribution of extant gene pools and predict future loss of unique lineages in a marine brown alga. Buonomo R, Chefaoui RM, Lacida RBermejo, Engelen AH, Serrão EA, Airoldi L. Predicted extinction of unique genetic diversity in marine forests of Cystoseira spp. Marine Environmental Research. 2018. Ler mais acerca de Predicted extinction of unique genetic diversity in marine forests of Cystoseira spp. Buonomo R, Chefaoui RM, Lacida RBermejo, Engelen AH. Predicted extinction of unique genetic diversity in marine forests of Cystoseira spp. Marine Environmental Research. 2018. A A, J S, R F, D P, Serrão EA, R S. First description of seagrass distribution and abundance in São Tomé and Príncipe. Aquatic Botany. 2017;142:48-52. Whitaker SG, Fong DR, Neiva J, Serrão EA, Anderson LM, Raimondi PT. Distribution and genetic structure of Fucus distichus Linnaeus 1953 (formerly F. gardneri) within Central San Francisco Bay. San Francisco Estuary and Watershed Science. 2017;15. Castilho R, Cunha RL, Faria C, Velasco E, Robalo JI. Asymmetrical dispersal and putative isolation-by-distance of an intertidal blenniid across the Atlantic-Mediterranean divide. PeerJ. 2017;5. https://doi.org/10.7717/peerj.3195. Madeira PM, Chefaoui RM, Cunha RL, et al. High-unexpected genetic diversity of a narrow endemic terrestrial mollusc. PeerJ. 2017;5. https://doi.org/10.7717/peerj.3069. Martínez-Garrido J, Bermejo R, Serrão EA, Sánchez-Lizaso JM, Gonzalez-Wangüemert M. Regional Genetic Structure in the Aquatic Macrophyte Ruppia cirrhosa Suggests Dispersal by Waterbirds. Estuaries and Coasts. 2017;40(6):1705-1716. Aires T. Host and Environmental Specificity in Bacterial Communities Associated to Two Highly Invasive Marine Species (Genus Asparagopsis). Serrão EA, ed. Frontiers in Microbiology. 2016;7(559). Ler mais acerca de Future climate change is predicted to shift long-term persistence zones in the cold-temperate kelp Laminaria hyperborea. Chefaoui RM, Chozas S, Correia O, Santos AMargarida, Hortal J. Using niche models of indicator species to predict the distribution of xerophytic shrub dune communities. Web Ecology. 2016;16:47. Ler mais acerca de Do hatchery-reared sea urchins pose a threat to genetic diversity in wild populations? Large-Scale Prediction of Seagrass Distribution Integrating Landscape Metrics and Environmental Factors: The Case of Cymodocea nodosa (Mediterranean–Atlantic). Estuaries and Coasts. 2016;39(1). Ler mais acerca de A Well-Kept Treasure at Depth: Precious Red Coral Rediscovered in Atlantic Deep Coral Gardens (SW Portugal) after 300 Years. Ler mais acerca de Temporal windows of reproductive opportunity reinforce species barriers in a marine broadcast spawning assemblage. Ler mais acerca de Genetic Diversity and Local Connectivity in the Mediterranean Red Gorgonian Coral after Mass Mortality Events. boavida J, assis J, silva I, Serrão EA. Overlooked habitat of a vulnerable gorgonian revealed in the Mediterranean and Atlantic by Ecological Niche Modelling. Scientific Reports. 2016. Ler mais acerca de Limited differences in fish and benthic communities and possible cascading effects inside and outside a protected marine area in Sagres (SW Portugal). Ler mais acerca de The European anchovy, a genetically highly diverse species displays null within-sample haplotype diversity on a single study? Martínez-Garrido J, Serrão EA, Engelen AH, Cox CJ, García-Murillo P, Gonzalez-Wangüemert M. Multilocus genetic analyses provide insight into speciation and hybridization in aquatic grasses, genus Ruppia. Biological Journal of the Linnean Society. 2016;117(2):177-191. Ler mais acerca de Three in One--Multiple Faunal Elements within an Endangered European Butterfly Species. Ler mais acerca de Trade-offs between life-history traits at range-edge and central locations. Ler mais acerca de Seascape drivers of Macrocystis pyrifera population genetic structure in the northeast Pacific. Ler mais acerca de Intraspecific genetic lineages of a marine mussel show behavioural divergence and spatial segregation over a tropical/subtropical biogeographic transition. Ler mais acerca de Reproductive investment, synchrony and recruitment success in marine broadcast spawners: Effects of mating system and habitat (exposed shore versus estuary). 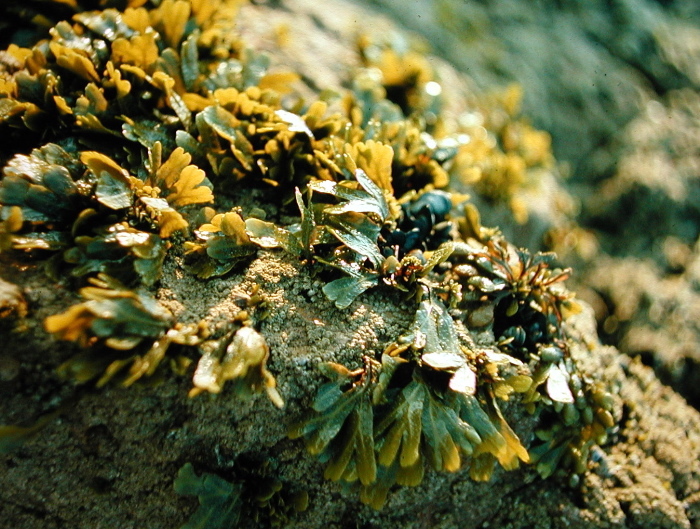 Ler mais acerca de Polymorphic microsatellite markers in the brown seaweed Fucus vesiculosus. Ler mais acerca de Hologenome theory supported by cooccurrence networks of species-specific bacterial communities in siphonous algae (Caulerpa). Ler mais acerca de A transcriptome resource for Antarctic krill (Euphausia superba Dana) exposed to short-term stress. Ler mais acerca de A transcriptome resource for the copepod Calanus glacialis across a range of culture temperatures. Ler mais acerca de Oceanographic Conditions Limit the Spread of a Marine Invader along Southern African Shores. Ler mais acerca de Establishment of a coastal fish in the Azores: recent colonisation or sudden expansion of an ancient relict population? Ler mais acerca de New highly polymorphic microsatellite markers for the aquatic angiosperm Ruppia cirrhosa reveal population diversity and differentiation. Ler mais acerca de Disentangling the Influence of Mutation and Migration in Clonal Seagrasses Using the Genetic Diversity Spectrum for Microsatellites. Ler mais acerca de Evolution at a different pace: distinctive phylogenetic patterns of cone snails from two ancient oceanic archipelagos. Ler mais acerca de Thermal adaptation and clinal mitochondrial DNA variation of European anchovy. Ler mais acerca de Reproductive strategies and isolation-by-demography in a marine clonal plant along an eutrophication gradient. Ler mais acerca de Wider sampling reveals a non-sister relationship for geographically contiguous lineages of a marine mussel. Martínez-Garrido J, Gonzalez-Wangüemert M, Serrão EA. New highly polymorphic microsatellite markers for the aquatic angiosperm Ruppia cirrhosa reveal population diversity and differentiation. Genome. 2014;57(1):57-59. Ler mais acerca de High connectivity across the fragmented chemosynthetic ecosystems of the deep Atlantic Equatorial Belt: efficient dispersal mechanisms or questionable endemism? Ler mais acerca de Looking into the black box: simulating the role of self-fertilization and mortality in the genetic structure of Macrocystis pyrifera. Ler mais acerca de High and distinct range-edge genetic diversity despite local bottlenecks. Cunha A, Varela-Álvarez E, Paulo D, Sousa I, Serrão EA. The rediscovery of Caulerpa prolifera in Ria Formosa, Portugal, 60 years after the previous record. Cahiers de Biologie Marine. 2013;54. Ler mais acerca de Genetic evidence for polygynandry in the black-striped pipefish Syngnathus abaster: a microsatellite-based parentage analysis. Ler mais acerca de Entangled effects of allelic and clonal (genotypic) richness in the resistance and resilience of experimental populations of the seagrass Zostera noltii to diatom invasion. Ler mais acerca de Shift happens: trailing edge contraction associated with recent warming trends threatens a distinct genetic lineage in the marine macroalga Fucus vesiculosus. Ler mais acerca de Taxonomic and population genetic re-interpretation of two color morphs of the decollate snail, Rumina decollata (Mollusca, Pulmonata) in southern France. Ler mais acerca de SELECTIVE ELIMINATION OF CHLOROPLASTIDIAL DNA FOR METAGENOMICS OF BACTERIA ASSOCIATED WITH THE GREEN ALGA CAULERPA TAXIFOLIA (BRYOPSIDOPHYCEAE)(1). Ler mais acerca de Fine-scale genetic breaks driven by historical range dynamics and ongoing density-barrier effects in the estuarine seaweed Fucus ceranoides L.
Correia AT, Ramos AA, Barros F, et al. Population structure and connectivity of the European conger eel (Conger conger) across the Northeastern-Atlantic and Western-Mediterranean: integrating molecular and otolith elemental approaches. Marine Biology. 2012;159. Ler mais acerca de Implications of extreme life span in clonal organisms: millenary clones in meadows of the threatened seagrass Posidonia oceanica. Ler mais acerca de Range-edge genetic diversity: locally poor extant southern patches maintain a regionally diverse hotspot in the seagrass Zostera marina. Ler mais acerca de Northern refugia and recent expansion in the North Sea: the case of the wrasse Symphodus melops (Linnaeus, 1758). Ler mais acerca de Prezygotic barriers to hybridization in marine broadcast spawners: reproductive timing and mating system variation. Ler mais acerca de Unexpected high genetic diversity at the extreme northern geographic limit of Taurulus bubalis (Euphrasen, 1786). Ler mais acerca de Characterization of ten highly polymorphic microsatellite loci for the intertidal mussel Perna perna, and cross species amplification within the genus. Ler mais acerca de Love thy neighbour: group properties of gaping behaviour in mussel aggregations. Ler mais acerca de Ancient divergence in the trans-oceanic deep-sea shark Centroscymnus crepidater. Chefaoui RM. thesis abstract: Applying species distribution modeling for the conservation of Iberian protected invertebrates. Frontiers of Biogeography. 2011;3. Varela-Álvarez E, Rindi F, Cavas L, Serrão EA, Duarte CM, Nuria M. Molecular identification of Halophila stipulacea from Turkey. Cahiers de Biologie Marine. 2011;52. Chefaoui RM, Lobo JM, Hortal J. Effects of species’ traits and data characteristics on distribution models of threatened invertebrates. Animal Biodiversity and Conservation. 2011;34:229–247. Ler mais acerca de Expressed sequence tags from heat-shocked seagrass Zostera noltii (Hornemann) from its southern distribution range. Varela-Álvarez E, Rindi F, Cavas L, Serrão EA, Duarte CM, Marbà N. Molecular identification of Halophila stipulacea from Turkey. Cahiers de Biologie Marine. 2011;52. Cunha RL, Lopes EP, Reis DM, Castilho R. Genetic structure of Brachidontes puniceus populations in Cape Verde archipelago shows signature of expansion during the last glacial maximum. Journal of Molluscan Studies. 2011;77. Ler mais acerca de Salamandra salamandra (Amphibia: Caudata: Salamandridae) in Portugal: not all black and yellow. Ler mais acerca de Evolution and diversification within the intertidal brown macroalgae Fucus spiralis/F. vesiculosus species complex in the North Atlantic. Ler mais acerca de Travelling in time with networks: Revealing present day hybridization versus ancestral polymorphism between two species of brown algae, Fucus vesiculosus and F. spiralis. Ler mais acerca de Isolation by oceanographic distance explains genetic structure for Macrocystis pyrifera in the Santa Barbara Channel. Ler mais acerca de Surfing the wave on a borrowed board: range expansion and spread of introgressed organellar genomes in the seaweed Fucus ceranoides L.
Chefaoui RM. Modelos predictivos aplicados a la conservación de invertebrados protegidos ibero-baleares. 2010. Ler mais acerca de An expressed sequence tag analysis of the intertidal brown seaweeds Fucus serratus (L.) and F. vesiculosus (L.) (Heterokontophyta, Phaeophyceae) in response to abiotic stressors. Ler mais acerca de Genetic structure in the Mediterranean seagrass Posidonia oceanica: disentangling past vicariance events from contemporary patterns of gene flow. Ler mais acerca de Permanent Genetic Resources added to Molecular Ecology Resources Database 1 May 2009-31 July 2009. Ler mais acerca de Molecular and functional characterization of a cDNA encoding 4-hydroxy-3-methylbut-2-enyl diphosphate reductase from Dunaliella salina. Cunha AH, Assis JF, Serrão EA. 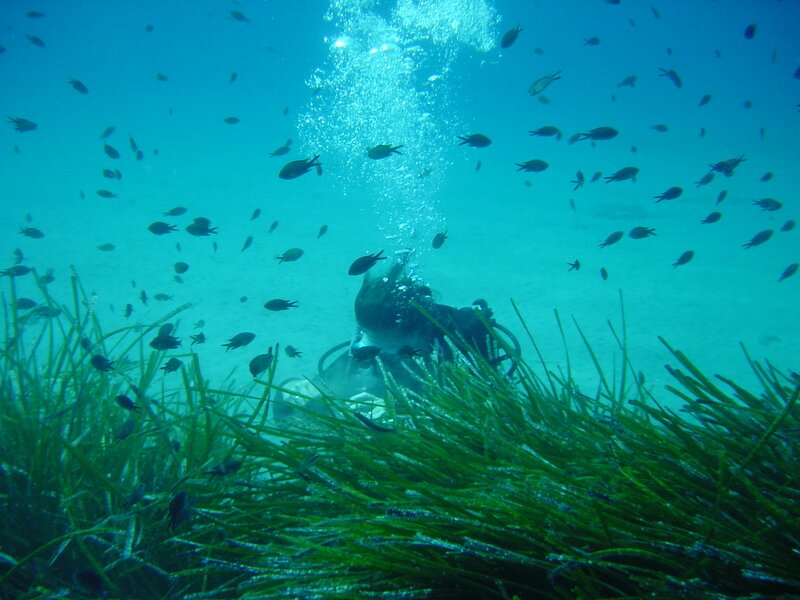 Estimation of available seagrass meadow area in Portugal for transplanting purposes. Journal of Coastal Research. 2009;56:1100–1104. http://ccmar.ualg.pt/maree/pdf/cunhaetalICS2009.pdf. Ler mais acerca de Isolation of highly polymorphic microsatellite loci for a species with a large genome size: sharp-ribbed salamander (Pleurodeles waltl). Chefaoui RM, Lobo JM. Assessing the effects of pseudo-absences on predictive distribution model performance. Ecological modelling. 2008;210:478–486. Cunha RL, Tenorio MJ, Afonso CM, Castilho R, Zardoya R. Replaying the tape: recurring biogeographical patterns in Cape Verde Conus after 12 million years. Molecular Ecology. 2008;17(3). Ler mais acerca de Spectrum of genetic diversity and networks of clonal organisms. Ler mais acerca de Standardizing methods to address clonality in population studies. Ler mais acerca de Revisiting synchronous gamete release by fucoid algae in the intertidal zone: fertilization success and beyond? Ler mais acerca de Genetic diversity and historical demography of Atlantic bigeye tuna (Thunnus obesus). Ler mais acerca de Mitochondrial DNA reveals a mosaic pattern of phylogeographical structure in Atlantic and Mediterranean populations of anchovy (Engraulis encrasicolus). Ler mais acerca de When is a hybrid a hybrid? A counter-reply to Wallace et al. Ler mais acerca de Genetic structure at range edge: low diversity and high inbreeding in Southeast Asian mangrove (Avicennia marina) populations. Ler mais acerca de Convergent adaptation to a marginal habitat by homoploid hybrids and polyploid ecads in the seaweed genus Fucus. Ler mais acerca de Genetic entities and mating system in hermaphroditic Fucus spiralis and its close dioecious relative F. vesiculosus (Fucaceae, Phaeophyceae). Cunha RL, Castilho R, Rüber L, Zardoya R. Patterns of cladogenesis in the venomous marine gastropod Genus Conus from the Cape Verde islands. Systematic Biology. 2005;54(4). Ler mais acerca de Within-population spatial genetic structure, neighbourhood size and clonal subrange in the seagrass Cymodocea nodosa. Chefaoui RM, Hortal J, Lobo JM. Potential distribution modelling, niche characterization and conservation status assessment using GIS tools: a case study of Iberian Copris species. Biological Conservation. 2005;122:327–338. Ler mais acerca de Intriguing asexual life in marginal populations of the brown seaweed Fucus vesiculosus. Ler mais acerca de Assessing genetic diversity in clonal organisms: low diversity or low resolution? Combining power and cost efficiency in selecting markers. Ler mais acerca de Blue- and green-light signals for gamete release in the brown alga, Silvetia compressa. Ler mais acerca de Differential population structuring of two closely related fish species, the mackerel (Scomber scombrus) and the chub mackerel (Scomber japonicus), in the Mediterranean Sea. Ler mais acerca de Congruence between starch gel and polyacrylamide gel electrophoresis in detecting allozyme variation in pulmonate land slugs. Prof. Steven Purcell will talk about Drivers of overfishing and extinction risks in coastal reef fisheries, at CCMAR Seminars by Izasa Scientific, on 07th of June. Don't miss this seminar! João Neiva is our next invited speaker, at CCMAR Seminars by Izasa Scientific. Neiva is going to talk about reticulate evolution in fucoid seaweed radiations. Don't miss this seminar! O projeto ADOPTE uma pradaria marinha levou alunos das escolas do ensino básico da ilha da Culatra a sair das aulas, para uma lição em contacto com as pradarias marinhas. Investigadores do Centro de Ciências do Mar (CCMAR) estão a recolher um tipo de corais chamados gorgónias, que deram à costa após as recentes tempestades, para as transplantar de volta ao seu habitat natural.